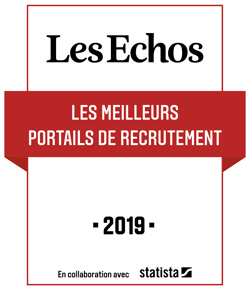 Our clients put Journal des Palaces' Careers Section at the top of list for recruited applicants source, followed by internal recruitment and their own personal network. This package is perfect for occasional need. For two or more jobs in the upcoming month, it is cheaper to choose the No Limit package. You log in your Recruiter Account any time as long as you still have credits. No deadline to use your jobs credits. You can use them one by one or post several jobs at the same time. But keep in mind that for two or more jobs in the upcoming month, it is cheaper to choose the No Limit package. Each job offer is online for 45 days renewable once on request (ie 3 months in total). One post = one job so that it touches the right target. This package is perfect for a large hotel, an opening or seasonal hotel. You log in your Recruiter Account throughout the term of your subscription (min. one month). You post as many jobs as you want at the same time. We are providing an unlimited job posting in order to make your life easier and save your time and money: once you subscribe, you can use your Recruiter Account as often as you wish, without any surprise nor additional costs. Jobs are online for a maximum period of 45 days (depending of the duration of your subscription). You receive an email at the end of this period and you may easily post it again. Volume discount rate starting with two hotels from a same group. Why a so small price difference between the job credit package and the No Limit one? Thanks to the No Limit package we offer to our applicants a large choice of jobs because recruiters may publish, for the same price, all profiles that they are looking for. We adapt the rate of No Limit package so that it is less expensive than two job credits. For the new clients, the No Limit package allows them to discover all our services and see the results on different job profiles. You are also an online newspaper, how is this interesting for my recruitment? With our newspaper, we could spotlight in our columns your company and your employer brand. You would like to communicate about your opening, your renovation, a new appointment in your team or your next recruitment season? We could help you by publishing a press release, by writing an article or by realizing a written or video interview. We have all the necessary skills, it's our job! Thanks to our newspaper, you will be able to reach profiles that are not looking for a new opportunity, so you will be able to reach 100% of the job market. Our news' section is consulted by more than 40,000 readers and our newsletter is followed by 8,000 subscribers, your future talents are certainly among them! Can you tell me more about managing vacancies? We offer numerous services and tools which are all included in your chosen package for innovative and comprehensive management of your dedicated space. How do I search for a specific profile in your database? How do I purchase one of the two packages? If you are a new client, you will need to complete the online order form, print it, sign it and return it to us by email or fax. All the information is on the order form. As soon as we receive your order, we verify your information and register your name on our database. If you are an existing client, you can log into your recruitment page and renew your unlimited subscription or purchase additional credits. As soon as we have registered your order, you will receive an email confirmation and you will be able to use your recruitment space, search for candidates, and post vacancies. Payment for this order should be made within 7 days for amounts below €-500, and within 30 days for amounts above €-500. Can I post my job vacancies straightaway after my order? Yes, absolutely. You can post job vacancies and use all of our tools and services as soon as your recruitment space is available, even before settling your invoice. How do I post a job vacancy? Do I send you my text? As soon as your recruitment space is available, you can post your first job vacancy online. You can do this with our easy-to-use online form which will guide you through the process. You can also choose from different options to make your job vacancy stand out: select layouts, multimedia (photos, videos, social networks, etc.) and a range of settings. We can, of course, assist you if necessary through our chat box which can be found at the bottom right-hand side corner of all our pages. Will my job vacancy be online straightaway? When you post a new vacancy, you can specify whether it should go live immediately or at a later date (for example, if it needs approval by a colleague before going live). If you choose to publish immediately, the vacancy will be saved and appear online as soon as you have clicked the button at the bottom of the form. I am an HR specialist for a chain. Where would I post our vacancies? It is important to note that every recruitment space is linked to the recruiter’s physical address to avoid confusion for candidates. This is valid for both the pay-as-you-go and unlimited options. There should, therefore, be one recruitment space per hotel. We suggest that hotel groups create a Head Office recruitment space for all vacancies available at the Head Office of the group, as well as a recruitment space for each individual hotel. Each hotel then chooses the option best adapted to their needs at the time: pay-as-you-go for limited needs and unlimited for two or more vacancies. The latter can be on a monthly basis or for a longer period. We then link all your recruitment pages to create a group which you can navigate easily to publish all your vacancies. You can also move the text of a vacancy from one hotel’s page to another and simply adapt it as necessary. There is no need to write your job description again. We offer a discount for two hotels from the same group who each subscribe to the unlimited option for the period of one year (12 months). The more hotels from the same group who subscribe at the same time for one year, the larger the discount. For example, if six hotels take up the annual subscription at the same time for a period of one year, it will cost €-1,200 per year instead of €-1,800 (which works out as only €-100 per month for unlimited access to CVs and posting of vacancies). Our clients are our greatest ambassadors!
" Applicants have an experience that matches our luxury standards "
" Quality of the resumes ", " Quality of the applicants ", " Quality of the applications "
" Very easy to put jobs online and to manage them quickly "
" Well designed and user friendly website "
" Excellent value for its price "
" Unlimited job posting is a top feature! " " A good SEO ", " A very popular site "
" Many very interesting features like adding videos or pictures "
" Job offers can be updated anytime during our subscription "